Also Known As: "Beis HaLevi"
Yosef Dov Soloveitchik (b.1820 in Nesvizh, Minsk Voblast, Belarus; d.1892 in Brest-Litovsk, Hrodna Voblast, Belarus was the author of Beis Halevi, by which name he is better known among Talmudic scholars. He was the great-grandson of Rabbi Chaim Volozhin. The Soloveitchik family includes many significant rabbinical forebears, most notably Rabbi Chaim Volozhiner, famed Talmudist and founder of the Volozhin yeshiva. "from Moses at Sinai, to Joshua, to the Elders ... to the Vilna Gaon, to Rabbi Chaim Volozhiner, and then to the Soloveitchik dynasty." Most scholars, however, begin the Soloveitchik dynasty with Rabbi Joseph Dov (HaLevi) Soloveitchik known as the Beis HaLevi (see below), as he was the first rabbi of Brisk surnamed Soloveitchik. More significantly, the "Brisker style" described below can already be found to some degree in the Beis HaLevi's works, which is not the case for earlier ancestors. All members of the Soloveitchik family are descended from the tribe of Levi and thus sometimes go by the descriptor "HaLevi". The surname "Soloveitchik", in fact, is Polish for "nightingale"; it was chosen by the family because the primary duty of the Levites in the Temple in Jerusalem was singing. (Note that the surname "Soloveitchik" can be spelled either as presented, or as "Soloveichik", without the "t". Other distinguished family Yeshiva founders and illustrious rabbis. Yosef Dov Soloveitchik was reputed to have one the great minds of his time. In 1854 was invited to become co-rosh yeshiva of Volozhin yeshiva, together with Rabbi Naftali Zvi Yehuda Berlin. However, they were temperamentally incompatible and, after ten years, Soloveitchik decided to leave. 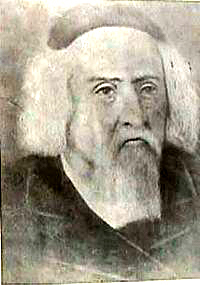 In 1865 Yosef Dov became Rabbi of Slutsk. After taking up this position he went to visit the cheder classes where the young boys received their education. When he observed the impoverished state of many children, he arranged for lunches to be served there, paid for by the community. His son, Rabbi Chaim Soloveitchik, once said that while he himself responded to peoples’ needs, his father went further and discovered on his own what their needs were. His pupils in Slutsk included Yosef Rosen, later to achieve fame as the Rogatchover Gaon, and Zalman Sender Shapiro. He was a fierce opponent of the Maskilim, as a result of which he left Slutzk in 1874. He then moved to Warsaw where he lived in poverty. When the rabbi of Brisk, Rabbi Yehoshua Leib Diskin left for the Land of Israel in 1877, Rabbi Soloveitchik was offered the rabbinate of Brisk. He continued to hold that position until his death in 1892, when he was succeeded by his son Rabbi Chaim Soloveitchik. Yosef Dov composed works on the Mishneh Torah and first five books of the Hebrew Bible which were published under the title Beis HaLevi (Hebrew for 'House of the Levites'). Soloveitchik (Hebrew: סולובייצ'יק‎) (also Soloveichik) is a surname. It is notably the name of a rabbinic family descended from Yosef Dov Soloveitchik (Beis Halevi) (1820-1892). DNA Testing of Kurt (Dolgoff) Alexander reveals that his Y-Chromosome matches the Y-Chromosome of men from the family "Alperovich." The most recent common ancestor he shares with those Alperovich men lived in about the 1700s. However, it is conclusive that Kurt has a male line of Alperovich DNA. This is consistent with the location of ancestors, as well as with family lore that the Dolgoff name had been changed. Testing of a male member of another branch of Dolgoffs (i.e. not descended from Wolf Dolgoff) would be helpful to confirm the conclusion that all Dolgoffs are descended from the family Alperovich. www.FamilyTreeDNA.com has been a useful resource.